Since graduating from the renowned Palmer College of Chiropractic (USA) in 2001, Heather (Chiropractor) has been providing focused and custom care to her patients at Oxford Chiropractic Clinic. For the past 16 years, she’s been working to restore health to the Oxford community, naturally. Heather holds Advanced Certification with the Sacro-Occipital Technique Organisation (SOTO) Europe and has taught chiropractors and chiropractic students at SOTO seminars throughout Europe. Heather regularly uses SOT technique in the practice and is also equipped in Craniopathy as well as Gonstead, Thompson, Diversified, Activator, CMRT and BEST techniques. 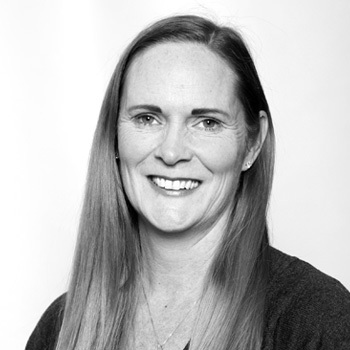 Heather is focused on unique and effective treatment for people of all ages and has an avid interest in working with women in pregnancy and paediatric care. Heather is here to help you obtain your optimum health. Heather is very family oriented and enjoys spending time with her husband and two daughters. She is a member of the United Chiropractic Association and SOTO Europe and holds a chiropractic license in the UK, USA and Canada. Get to know more about Heather at your next visit!